LSS PAC meets in room 104 at 7:15pm. Famous Canadians for Black History Month. Lincoln Alexander was a lawyer, Member of Parliament, Cabinet Minister and a War Veteran, but he is probably best known as the former Lieutenant Governor of Ontario. Alexander was the first Black Member of Parliament in Canadian History. Various activities and program information sessions are happening over the next few months. A Magazine for the Families of the Nanaimo Ladysmith School District. Check out the Latest Edition! 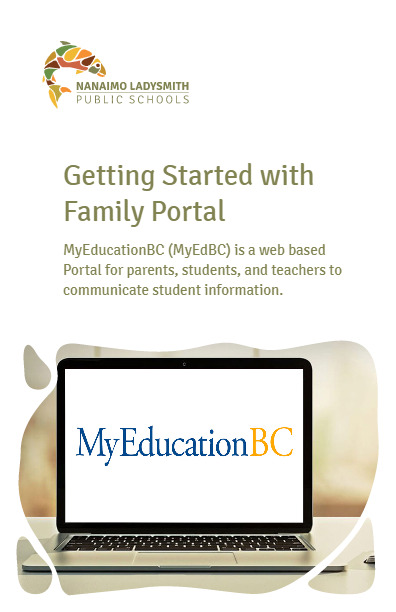 Nanaimo-Ladysmith Public Schools are now implementing the Family Portal of MyEdBC so parents, teachers, and administrators can work together to communicate more effectively and efficiently. Ladysmith Secondary will be hosting a MyEdBC Family Portal information session on Thursday, September 20 @ 5:30PM in the Multi-Purpose Room. School starts on Tuesday, September 4 at 11am, dismissal at 12 noon for most schools. Some exceptions apply. More information on exceptions, busing and contact information can be found here. The post Back-to-School Opening Day Information appeared first on Nanaimo Ladysmith Public Schools, School District 68. At LSS we have zero tolerance of bullying. Please speak up if you experience, or witness, bullying in our school. This includes cyber bullying.